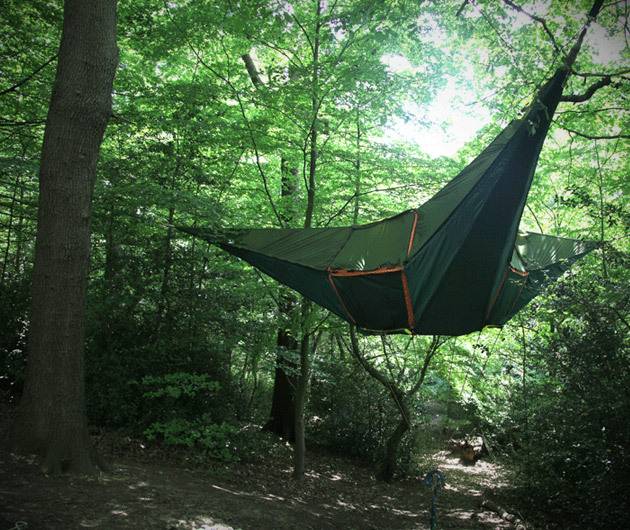 The Tentsile Hanging Tent is a unique, portable outdoor accommodation for multiple persons that can hang like a hammock from overhead trees. This versatile tent can be used to impress your fellow camping buddies or used in your outdoor research projects or expeditions high above the cold and wet ground. Safe from all critters and insects, it provides a great place to sleep or to observe wildlife from an exciting viewpoint.